Whether you are someone that is dealing with symptoms related to carpal tunnel or you are looking to prevent it, there are plenty of ways that you can do so with proper wrist strengthening exercises. Below, we will be going over some of the top things that you can do to help prevent or remedy it through wrist strengthening exercises carpal tunnel. This is easily one of the best wrist exercises that you will want to include in your daily life. This is a good exercise not only because it is extremely easy to do, but it is also one of the more effective strengthening exercises you can do for your wrist. To complete it, all you need to do is keep your forearms flat against a table and have your palms pointing up. Then, you will simply curl your hand up with a lightweight dumbbell. This will help you not only strengthen your wrist, but it can increase your range of motion because you will be stretching your hand upwards which can improve the range of motion in your wrist. Another good option that you can include in your exercise routine would be with a squeeze ball. You want to get a stress ball or even a tennis ball and simply place it in your hand and squeeze it as hard as you can. 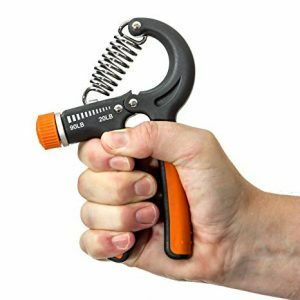 This is going to allow you to boost your hand strength and it can help you loosen up the muscles. Since this is an exercise that you can complete anywhere, you are going to be able to easily incorporate this into your life when you are sitting at your computer desk or even while you are watching TV. Another good option would be the reverse of the wrist curl. You simply take the same dumbbell and you place your arm in the opposite direction. Then, you would curl your wrist upwards with your palm facing the table. This is going to allow you to increase the range of motion of your wrist and it will work out your forearms. Overall, there is a lot that you can do to combat the symptoms of carpal tunnel and to prevent it from occurring in the first place. Try to include these exercises in your daily life and you should see significant improvements in your range of motion and how your hands feel.